George Wuerthner is an ecologist, former river ranger for the Alaska BLM and backcountry ranger in the Gates of the Arctic NP in Alaska. He has visited more than 400 designated Wilderness Areas and approximately 200 National Park units. A prolific author, he has published 38 books including such titles as California Wilderness Areas, Alaska Mountain Ranges, Nevada Mountain Ranges, Montana’s Magnificent Wilderness, Forever Wild:The Adirondacks, Welfare Ranching-the subsidized destruction of the American West, Yellowstone: A Visitor’s Compansion, Protecting the Wild: Parks and Wilderness–Foundation for Conservation. and Wildfire; A Century of Failed Forest Policy. Thank you for this very informative article. It is important to know that the Wyoming ranchers who access and utilize the cattle allotments in the Upper Green are predominantly state legislatures. The politics in Wyoming does not bode well for wildlife, it is money first as opposed to the management of the wildlife in the Public Trust. And that is for viable and healthy species capable of survival on a changing landscape. Also the cattle are very aggressive and spend most if their time in the willows of the river bottom. There is no way a cow and calf moose can share the river bottom with the cattle. Another species on the decline affected by the cattle grazing on Public Land and at very little cost to the rancher. No real public benefit. 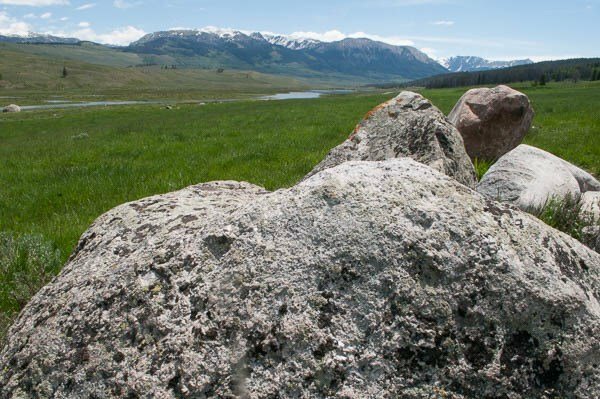 Did you know that the Wyoming Stockgrowers Association and the Wyoming Woolgrowers Association are currently in discussions with the Bridger-Teton National Forest to open up currently vacant grazing allotments to livestock grazing? 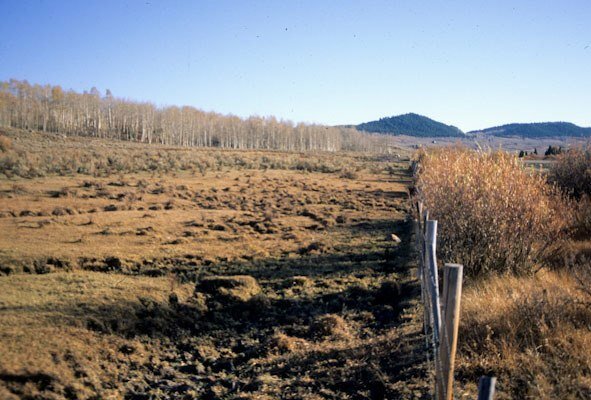 Wyoming Representative Liz Cheney, at the behest of these two organizations recently inserted riders into the Farm Bill to 1) open up all vacant grazing allotments and 2) to mandate that wildlife values could not be considered when evaluating currently closed grazing allotments for livestock grazing. Fortunately, both of these riders were defeated. But these two organizations are continually looking for ways to undermine wildlife populations. We had a 17,000 acre private allotment at Green River Lakes which is the only self sustaining native elk herd even although there is a feed ground there. Many elk stay out in the warmer less snow country. We ran 243 steers on it and sometimes up to 270 a two day drive from Black Butte. 270 steers could be run on a thousand acres of that country so we were vastly under stocked. Under stocked range becomes decadent where the old dead dry grass chokes out the photosynthesis and the plants go into decline. We bought our ranch in 63 and there has been a steady decline in the snow falls. On the subject of welfare ranches the notion is laughable. The reason the fees are set that way is because of the extraordinary effort it takes to operate up there. I think the most important fact to consider in this discussion is the fact that all of the ranchers on the drift have deeded lands where they grow hay for the cows in winter. It’s all flood irrigation and an incredible wild life resource. If we take away their summer grass they will have to sell because their business will be unviable. The only other use for those meadows is lifestyle housing which will mean turning off the water and a massive destruction to the ecosystem. The other problem is that the water in The New Fork irrigation system is all connected regardless of who owned what. If one part of it fails it effects the entire drainage. It makes my teeth hurt to go up to Jackson and see what has happened to a lot of that beautiful hay land over the last fifty years. Dealing with a complex ecosystem like the Upper Green has to be done wholisticaly. The meadows on the lower part of the drainage are just as important as the alpine meadows. Let that sink in………. To the rancher who responded. Your assumptions are inaccurate on so many levels. You don’t need cows to graze grasses. Everything from nematodes in the soil, to grasshoppers to ground squirrels to elk consumes grasses. there are plenty of places without cows like cliff faces, highway right of ways and so forth where the grass is beautiful without a single cow consuming it. Furthermore, it takes resources to regrow lost leaves and photosynthetic leaves. 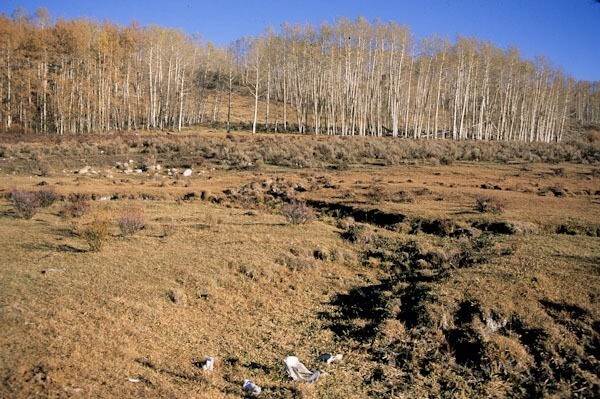 PLants can compensate for grazing, but that doesn’t mean it’s harmless. Typically a plant has to reallot resources from roots to grow new leaves. This comes at the expense of the root systems making them more vulnerable to drought conditions. It’s like saying just because coyotes can compensate for being shot, poisoned and trapped by producing more pups that we need to kill coyotes. As for irrigation. That is one of the biggest negative impacts of ranching. All those hay fields have multiple impacts. First, in many cases, the native grasses and willows were removed to create the pastures. Worse, all that water is removed from rivers. That is one of the reasons why most native fish in the West are in trouble. Lack of water due to irrigation. In most western states, Ag uses 95-98% of the water. Meanwhile, the loss of water in our streams results in declining fish populations, and many species depending on fish from river otter to bald eagles. Loss of water also shrinks riparian vegetation–again with negative impacts on songbirds and amphibian populations. Not to mention that flood irrigation mentioned by Mr. Carney also leads to more heating of water (higher summer temps harmful to trout) and greater pollution in streams. As for the extra costs operating in the Upper Green area, I’m supposed to feel sorry for ranchers that they can’t operate without government subsidies? If you can’t make a living without the government subsidies than you deserve to go out of business. You are not doing other ranchers any favors who operate entirely on private land and are competing with you any favors. They are not doing the majority of Americans any favors by killing our predators, dewatering our rivers, having their cattle consume vegetation that would support native ungulates like elk to grasshoppers. As for lifestyle housing, that’s the same old “condos vs cows” argument ranchers use all the time, even though there would be no condos if ranchers did not sell their land for subdivision. It is hard to take seriously such tears when the only reason there are subdivisions is that ranchers willingly sell their property for the big bucks. If ranchers were truly concerned about seeing houses pop up they can put entire ranchers under a conservation easement that prohibits such things. They could donate their ranch to the state or federal government for a wildlife refuge. There are many other options that would preclude subdivisions. But it doesn’t happen because most ranchers intend to cash in on the land for subdivisions when it’s time for retirement. Beyond that question, subdivisions are not necessarily worse for wildlife than a ranch operation. 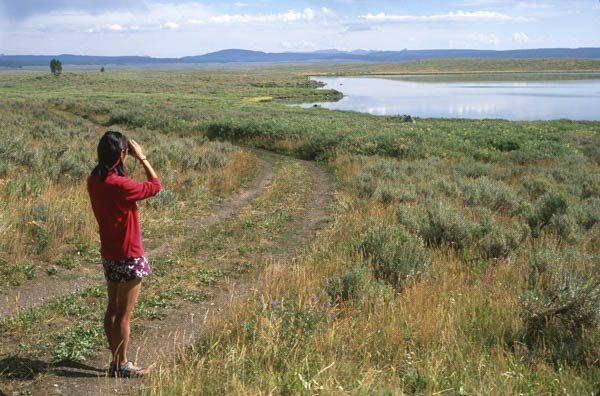 The loss of ranches in the Jackson area has led to greater water in the tributary streams of the Snake River and an increase in spawning habitat because riparian areas are actually in better shape without cattle trampling them. In addition, in the Upper Green as in much of the West, the vast majority of forage on public lands is allotted to domestic livestock. This leaves much less for the native wildlife. 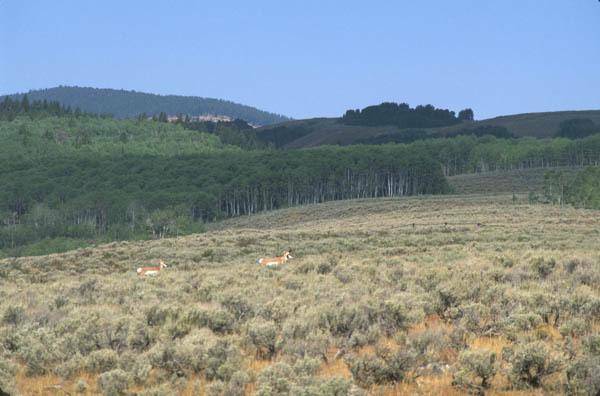 In summer, some 95% of the forage on public lands is allocated to private livestock. Even if all that forage is not consumed, it is still competition for forage. On the Upper Green, the majority of the allotment is at less than 50% vegetative condition due to livestock. Then there’s the impact on native predators. Grizzly bears, wolves, and cougar thrive near Jackson but not in the Upper Green. There were 8 grizzlies killed in the Upper Green this year, and more than 42 in the past decade or so. There were no grizzlies killed in the Jackson Area this past year, despite the fact that there are likely more bears in the Jackson Hole area (because of the park and refuge) than in the Upper Green. Cougar, coyotes, and wolves also are safer around Jackson than in ranch country. And we haven’t even gotten into things like diseases transmitted from livestock (like sheep) to wild bighorns and other diseases that harm native wildlife. 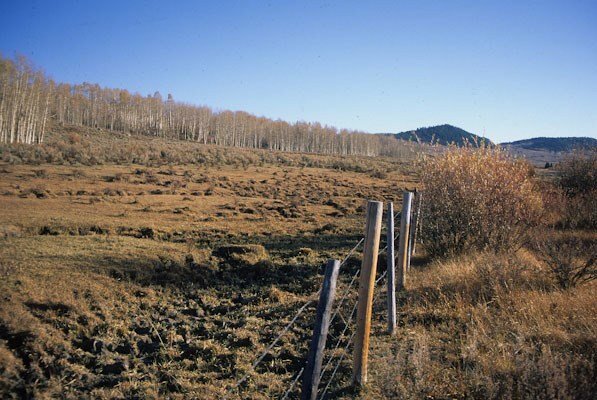 The fences that are a serious mortality source for sagegrouse and harm wildlife migrations. There is soil compaction that reduces water infilitraiton. There is the pollution of streams from cow poop. The list of impacts from private livestock on public lands is endless.